No, I am not talking about the sand sculptures that have already become popular in the Baltic States; it is something more flowing, instant and in constant motion. With just a few handfuls of sand strewn by chance on glass and with unusual finger movements a whole painting is created. It tells its own story because the contours constantly change and turn into a new form. 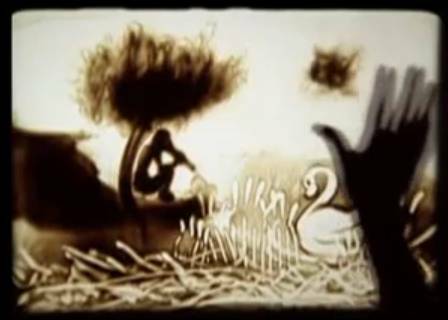 To my mind, the most fascinating story was that of sand artist Ilana Yahav and Georgian singer Dato - "Sand dream".Words here are redundant; just watch and enjoy the video! Modern jazz dance performance "LOVE"